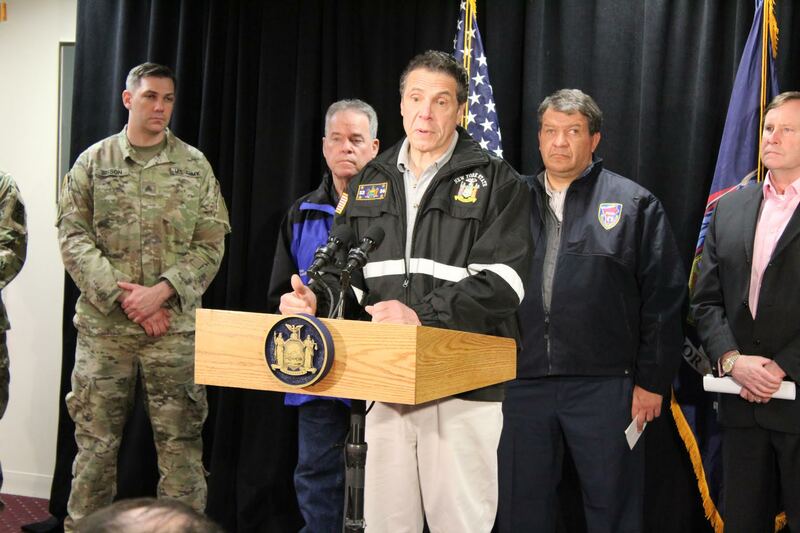 Governor Andrew Cuomo joined Rockland County Executive Ed Day at 2 p.m., Wednesday in Suffern to address the incoming nor’Easter. 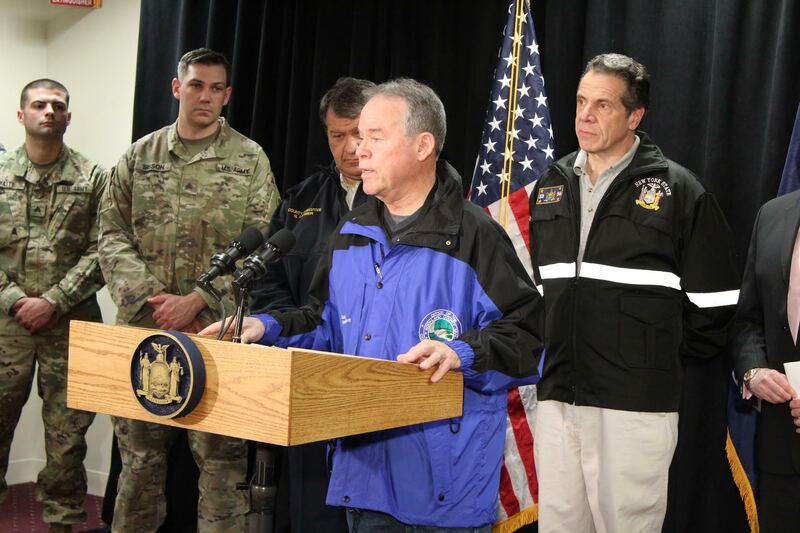 Following a series of storms that wreaked havoc and caused long-lasting blackouts, political officials assured the public that extra precautions were being taken in case the worst-case scenario hit Rockland and the region again. In the end, the storm was no dud, but middle and northern Rockland emerged from the chaos with only minor snowfall. Areas south received well over a foot of snow.